Dance is an expression of the body, while fashion design gives the body new form and function. Can both become one in an only and unique genre? 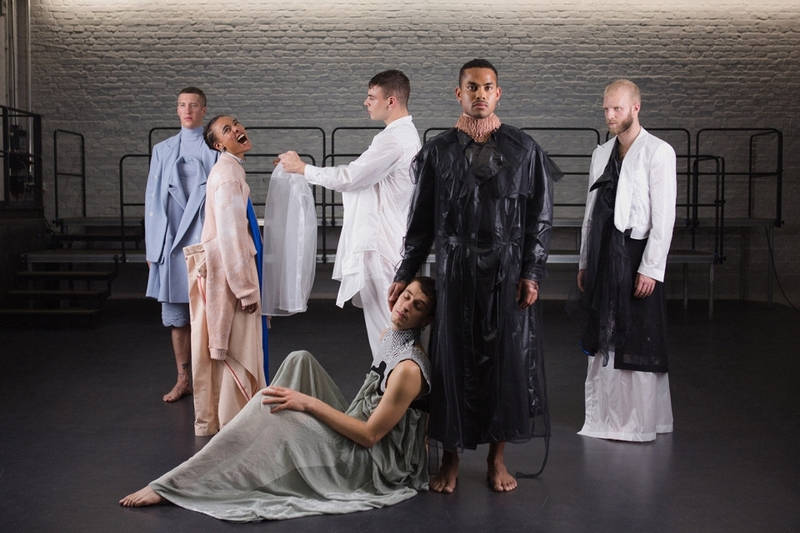 Last Saturday the new Hybrid-Art Space TRAUMABARUNDKINO presented its first in-house production combining contemporary dance choreographies with the presentation of four young fashion talents. We had the opportunity to experience the performance NOW YOU MAY TELL THAT I’VE BEEN SEEN BY YOU and were incredibly stooked by so much creativity from different angles coming together. The storyline of the performance was based on the myth of Diana and Actaeon from Ovid Metamorphoses. The tale recounts the unfortunate fate of a young hunter Actaeon that disturbed the goddess Diana taking a bath in the forest. In fury, the goddess transforms him into a deer who is hunted and killed by his own dogs. The four participating fashion designers brought this narrative to life with small collections that couldn’t be more different from one another. The show started with the deconstructed fashion pieces by Olga Khristolyubova who is bringing minimal aesthetics to the rawness of uniform garments. Her outfits would fit a soldier and a sleek banker at the same time. Unpretentious playfulness without losing an avant-garde aesthetic is the feeling that Don Aretino‘s collection had on me. I loved the bold colors with asymmetric and irregular cuts. Johanna Liebl evoked antique myths and sacral rituals in her garments. 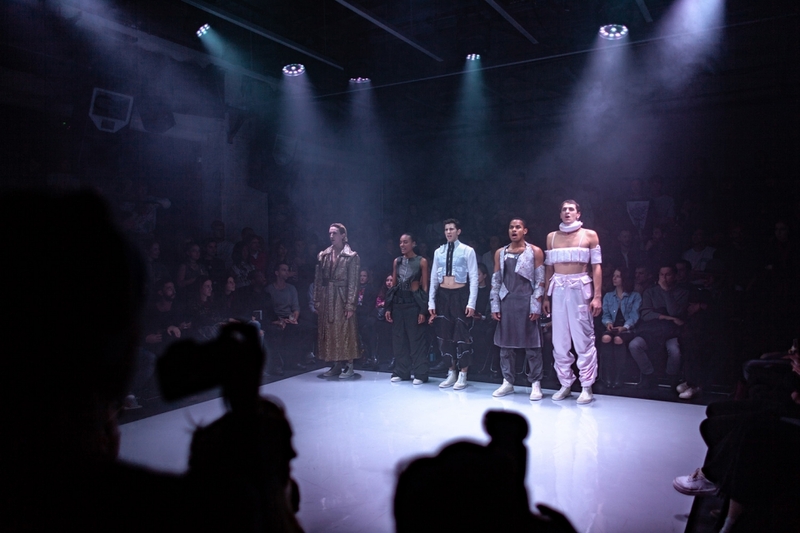 Genderless intimacy and sparling extraversion came together in her highly sophisticated pieces. Maria Miottke finally seemed to be inspired by the idea of a new tribe. A culture of its own rules, where new leaders can be born out of the constant reshaping of society. 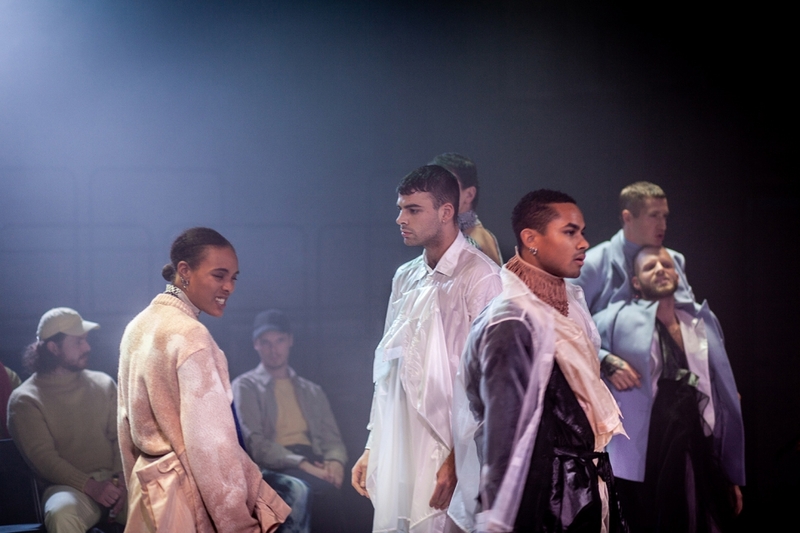 The whole performance was choreographed by Michael-John Harper under the creative direction of Tanja Bombach. Altogether the collaboration of choreographers, dancers, sound and light designers created a unique cross-cultural event that really stood out from the usual fashion performances I have seen so far. I’m hopeful to see more of that in the future since I think Berlin fashion talents need more outlets to show their skills than only Fashion Week twice a year.